Some people are convinced that they should really go all-out when it comes to their wedding. And by “all-out”, I mean “the bigger, the better.” And, quite often, couples seem to be happy to make the price of their wedding to big as possible! Don’t get sucked into the idea of having a super-expensive wedding. Too much pressure is put on such an event. You can have a big wedding, yes, but it can be cheap, too! Here are a bunch of suggestions that will help you slash the costs of your wedding. A weekend wedding makes sense, right? Pretty much everyone you know can make themselves available on a Saturday. But did you know that you can save a lot of money by getting married on a weekday? Seriously, I’m talking thousands here. Many venues offer discounts for weddings that take place outside of peak hours! Yeah, I know, the pressure is on to invite pretty much everyone. You don’t want people to feel slighted because they weren’t invited. It might make sense to invite pretty much everyone in your entire family. But you need to remember that so much of the cost of a wedding comes from catering for your guests. Consider making your guest list a little smaller. People pay hundreds for their wedding cake. (Even if you take away an ‘s’ and leave it at ‘hundred’, that’s still too much!) Yeah, I know you want to blow people away with the cake. But why not focus on how it tastes? At the end of the day, guests are going to be happy with it. It’s cake, for crying out loud! Why not consider trying to make your own extravagant cake? It can save you so much money compared to having a professional do it. Some people will pay offensive amounts to get boring, “elegant” wedding invitations sent around. You know the kind of wedding invitations I’m talking about. They all look the same and all have the same effect on the guests who receives them. Why get so fancy about them? You really don’t need to pay a lot in order to have fun, memorable wedding invites. You can choose from a variety of free wedding invitations templates online. Getting a professional photographer can definitely result in some incredible shots of your day. They can be expensive, for sure. But a photographer’s job is much harder and complex than you may think! Still, that doesn’t mean you can’t get amazing shots by simply giving all your guests disposable cameras. And yes, while that may sound like a lot of disposable cameras, it will probably still save you a lot of money! 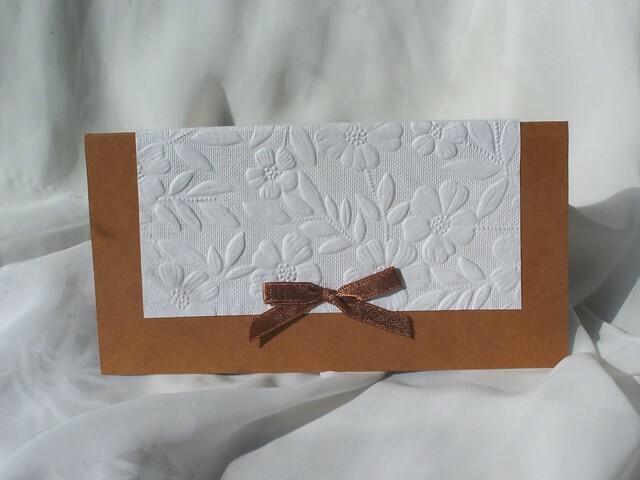 If you write on the invitations that gifts aren’t required by donations will be appreciated? Then you may end up with a bunch of small donations that can really help towards paying for the wedding. That’s certainly more useful than many of the silly trinkets you may have gotten otherwise!